Be ready to feel like a real life princess in this Casablanca Bridal dress! Beautiful crystal design bodice as well as crystal buttons down the back. Crystal all across the bottom of the dress. The dress also has a train that can be attached underneath the dress at a reception after the ceremony. 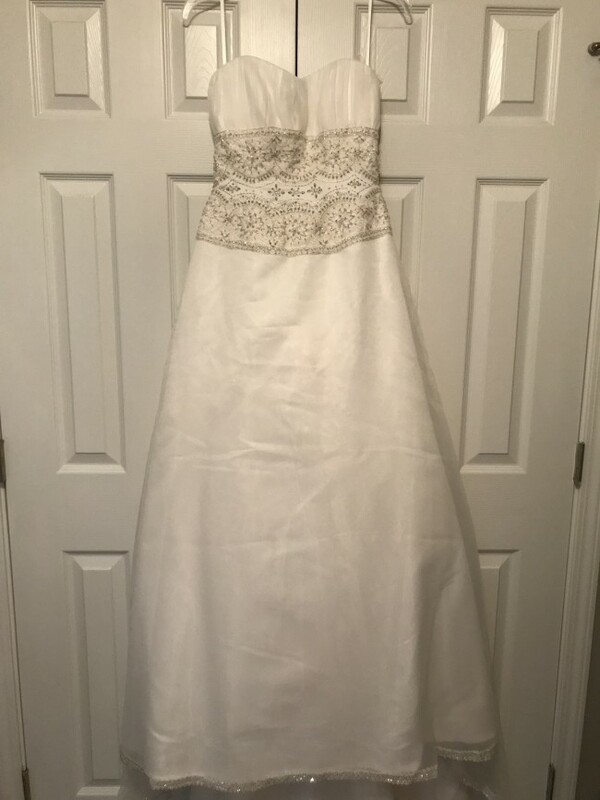 This dress is in perfect condition and has never been worn. It even still has the tag attached to the dress! Once you send a message, James can invite you to purchase the dress.